United Nations member states are meeting in Morocco on Monday to formally adopt an international agreement that promises a better, more coordinated approach to migration. Why is such a pact needed? Why is it so controversial, and why is Switzerland, which helped shape the accord, not attending? On December 10-11, heads of state and government are set to publicly confirm in Marrakech their commitment to the Global Compact for Safe, Orderly and Regular Migration and endorsement ceremony are the culmination of almost two years’ intensive negotiations, involving states, members of civil society and the private sector, and facilitated by the Mexican and Swiss ambassadors, Juan José Gomez Camacho and Jürg Lauber. Why do we need a global migration pact? 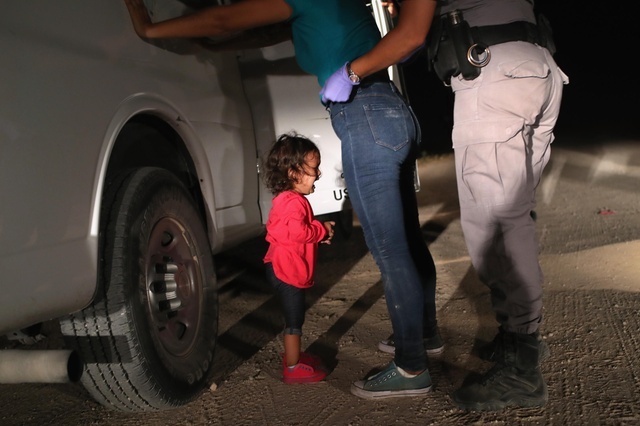 https://www.swissinfo.ch/eng/explainer_why-do-we-need-the-global-compact-for-migration-/44572400 A Honduran child cries while her mother is searched in McAllen, Texas, near the US-Mexico border on June 12, 2018; they were part of a group of immigrants who had rafted across the Rio Grande River from Mexico.